Almost every day, visitors to my Unlock The Game™ website click on my live instant-messenger chat button, which invites them to "Ask Ari a selling question." The fear of cold calling is a painful, daily struggle for many entrepreneurs and salespeople who have been trained in traditional selling techniques. "All you have to do is make more phone calls." "All you have to do is think more positive thoughts." "Just learn to accept rejection as a normal part of selling." In other words, "It's your fault that you aren't succeeding in sales." We can't help thinking there's something wrong with us if other people keep telling us that something shouldn't be a problem, but our own inner feelings tell us that we aren't comfortable doing it. There's a sort of "old boys' club" sales-conditioning mentality prevalent in English-speaking countries, including the US, Canada, the UK, Australia, and New Zealand, that says, "I had to suffer to succeed in sales success, so you need to, too!" This thinking comes from traditional sales programs that continue to be the accepted approach to selling. What you need to understand, though, is that you may fear cold calling because you have probably been exposed only to traditional selling approaches, which triggers rejection. These approaches teach us to make cold calls this way: introduce yourself, explain what you do, suggest a benefit to the potential client...and then close your eyes and pray that they won't reply with "Sorry, not interested" or "Sorry, I'm busy." If you're still using this traditional approach, you probably hear responses like these the moment you stop talking. They're rejections, and what they do us make you feel rejected -- and that's reason enough to make you dislike, fear, and avoid cold calling. How can cold calling be a positive experience if rejection is the most common response you get? 2. Are Your Self-Perceptions Passive or Aggressive? Whenever I chat with people about the fear of cold calling, they almost< always tell me that they're afraid to make cold calls because they don't want to be perceived as "aggressive." This is another part of the internal battle -- they beat themselves up for being too passive and lacking the confidence to make the next call, but they don't want to call for fear of being seen as aggressive. Here's the good news: there is a middle ground between "aggressive" and passive." It's a place where you can be who you are while still being extremely effective with cold calling, without ever experiencing rejection again. Unlock The Game™ shows you how you can be incredibly effective in cold calling without triggering rejection from potential clients. Imagine the possibilities (and the income potential). If you can center yourself into a place where you can let go of feeling that you have to go on using traditional cold calling "scripts" and behaviors, you'll find yourself spontaneously using language that you would use in a natural conversation. you know, can transform cold calling into a refreshing and productive experience. 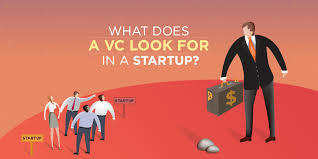 And, as you let go of the old-school cold calling model, in which your product or service is your only way of generating a phone conversation with a prospect, you'll make the most crucial transition of all: you'll begin thinking of approaching potential prospects not from your perspective, but from theirs. Imagine what it would be like if you could hear your prospect's thoughts about the problems they are having -- and that your solution can solve. Even more importantly, suppose you could also make note of the words and phrases they're using as they think about their problems, and that you could take that language and embed it in your cold calling approach. "Yes, but how would I do that?" you might ask. It's simple. Just ask your current clients what three core problems your product or service has solved for them. When you change your thinking, you can't help changing the language that you use, which lets you connect in a whole new positive way with the other person you are calling. If you can let go of your old-school belief system and open up to the possibility that there is a more natural, comfortable way to cold call -- one that doesn't trigger rejection -- you'll be surprised by how easily you'll break through and overcome your fear of cold calling. Bruce, one of my Unlock The Game™ clients, did just this... and here's his story (click the PLAY button to listen). 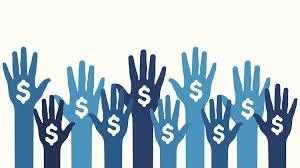 You Can Start Receiving $100's, Even Thousands Of Dollars In The Mail! FINDING & WHOLESALING HOUSES FOR FAST PROFITS. 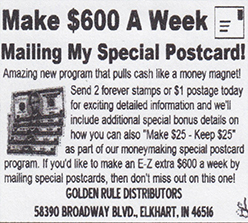 MAKE $600 A WEEK MAILING MY SPECIAL POSTCARD! Receive AD with YOU in #1. Every person who joins from YOUR AD will get their own AD with YOUR name in #2 & #4. 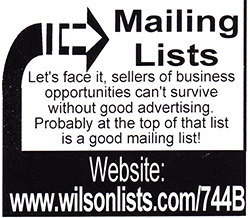 Start by Mailing $10 to Each Member. 1. Gertha Joseph, 150 NE 173 St.
2. Gerard Jeanty, 12035 NE 2nd. 4.Gerard Jeanty, 12035 NE 2nd. Plans & Loopholes Of The Millionaires! HATE MAIL--THE REASON FOR HATE MAIL And HOW TO RESPOND! IMPROVE YOUR CUSTOMER SERVICE SKILLS. NEW and RESPONSIVE PROGRAM. Low Cost! Enjoy The Enticing Rose Fragrance. FINALLY , A WAY FOR AVERAGE PEOPLE TO MAKE UP TO $1,000 PER WEEK. OPPORTUNITY TO CUT MORTGAGE PAYMENTS IN HALF! The Internet's Leading Cash Rewards Club. Shopping, Playing Games & Doing Research Tasks. Receive $5 For Signing Up!